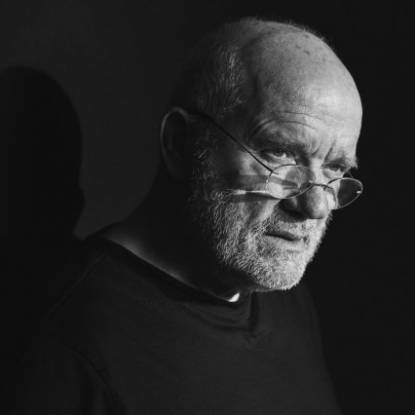 Fashion photographer Peter Lindbergh can claim a few weighty titles; the first to photograph the original supermodels, the first to shoot a Pirelli Calendar three times, and the first ever to get behind a camera for the cover of Anna Wintour’s US Vogue. It is these extraordinary achievements that keep him at the very top of the international fashion and celebrity world. But beyond this dazzling list of firsts, Lindbergh crafts compelling narratives of enduring beauty. In trademark monochrome, his penetrating portraits celebrate beauty in myriad guises, and, particularly, over time and age. Born in Duisburg, Germany, Lindbergh began his career as a window dresser for the Karstadt and Horten department stores. After traveling and studying at the Berlin Academy of Fine Arts he joined the Stern magazine family along with photographers Helmut Newton, Guy Bourdin and Hans Feurer. Lindbergh’s work is characterized by a dark cinematic quality and gritty realism and is influenced by street photographers and photojournalists like Dorothea Lange, Henri Cartier-Bresson and Garry Winogrand. His refusal to subscribe to beauty standards, including the excessive retouching and obsessive perfection enforced in the fashion industry, has set him apart from his peers. 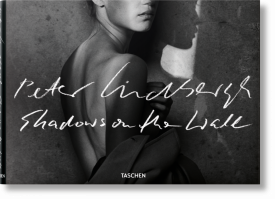 TASCHEN’s books on Peter Lindbergh survey his vast body of work and provide a unique window to his biography. 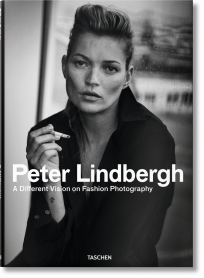 The books include editorials, covers, and portraits from magazines like The New Yorker, Rolling Stone, Vanity Fair, Harper’s Bazaar US, Wall Street Journal Magazine, The Face, Visionaire, Interview and W. Naturally, any publication on Lindbergh, is not complete without his images of Linda Evangelista, Naomi Campbell, Tatjana Patitz, Cindy Crawford, and Christy Turlington, that heralded a new age of beauty, fashion, and womanhood.